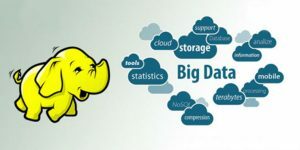 A good understanding of the Big Data and Hadoop helps to improve your analytic skills, thus increasing your career prospects in the Big Data analytics industry. This course mainly deals with what goes behind the processing of huge volumes of data as the industry switches over from excel-based analytics to real-time analytics. Along with this course we are providing the basic idea of Linux and programming languages like R, Python and Java. A live project is also a part of this course to improve your analytical skill. We are also helps you to familiarize the important tools (Map Reduce, Pig, Hive, H-Base, Spark, Sqoop, MongoDB, Cassandra, Flume, Oozie) of hadoop system.